Does beauty fade faster than you think? A long-term SK-II study discovered that women in their 20s dramatically lose more radiance in their skin than any other age group. In your 20s, damage from UV exposure causes hidden spots and clouds to develop, making skin appear darker and less radiant. To empower women in their 20s to tackle spots and clouds before they surface, SK-II launches its innovative new GenOptics whitening skincare series which targets current and hidden spots and darkening caused by UV to give you a radiant aura for years to come. d. All of the above! Spots and darkness are just some of the visible effects caused by UV damage, but there are also hidden effects that lurk beneath the surface of the skin. Just because you don’t see the effects of UV damage on your skin in your 20s, that doesn’t mean they’re not there – hidden spots caused by UV exposure can take years to appear. 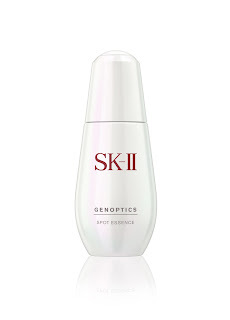 SK-II discovered that extended UV exposure damages 10 skin parameters. The hidden damages appear as ‘clouds’ within the skin, blocking skin’s natural aura and radiance. 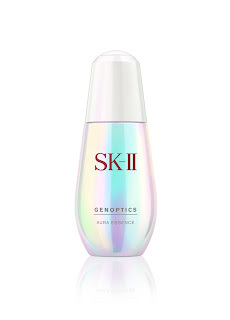 Containing an infusion of Prunus extract and Pitera™, users of SK-II’s new GenOptics Aura Essence saw visible improvement in skin tone and a significant reduction in age spots and cloudiness after 8 weeks continuous usage. ARE YOU MAKING THE MOST OF YOUR SKINCARE? True or False? “When using skincare from a dropper bottle, most people tend to use less than the recommended dosage”. The correct answer: True! In a consumer study, SK-II found that 60% of consumers only use 2/3 of the recommended dosage which results in lower efficacy for the skin. The new auto-fill dropper technology in each GenOptics bottle is specially designed so that one full drop provides the optimal dosage for best results. True or False? “There’s no way to identify the hidden clouds beneath her skin before they visibly appear on the surface as spots or dullness”. The correct answer: False! 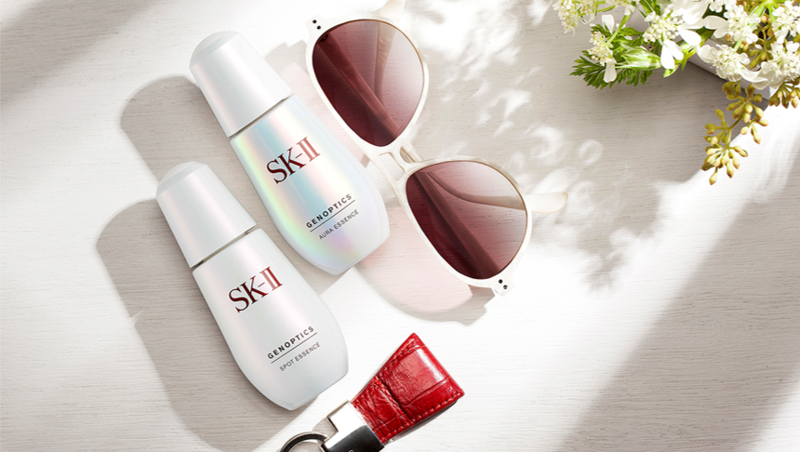 To visualize the effects of UV exposure on your skin, SK-II has updated its Magic Ring program with a “Cloud Meter” to show signs of UV damage including visible spots and even hidden clouds. Protect your skin from future spots caused by UV exposure with SK-II’s GenOptics Aura Essence and GenOptics Spot Essence available at all SK-II counters in Malaysia from February 2016. Interesting, I haven't heard of these products. I wonder if they would lighten freckles?